Woven has many unique and powerful features. To make the most of your experience, here are a few tips for getting started. Explore Woven's different calendar and list views to see your events in new ways. You can toggle between day, column, 3-day, and week views using the buttons on the calendar view. 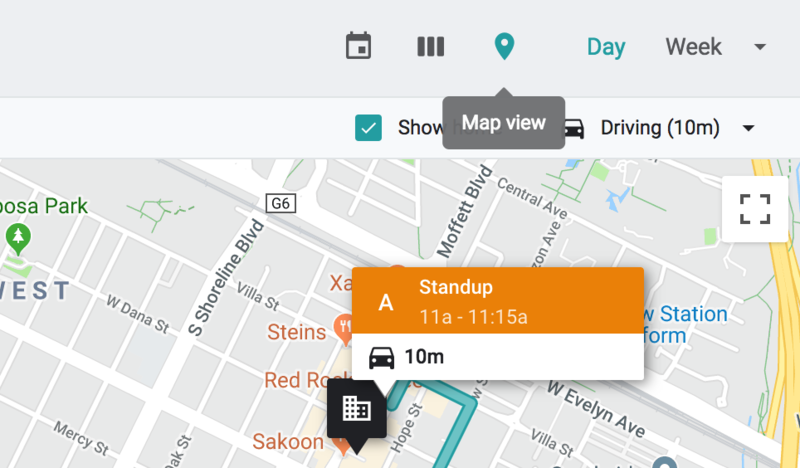 Selecting the location icon switches the calendar to a unique view that shows your events on a map, with travel time and routes calculated. Click or tap on any event to show the event details in a new panel. Woven's modular UI shows just the information that's relevant to that event at the time. Woven's Planning tab keeps track of all the events you're working on scheduling. Archived shows the plans you've archived for later (if someone else edits an archived event, it will move back to the Active tab). Woven uses My Time to determine if you or other participants have conflicts at a proposed meeting time. Open the Settings panel, and under "My Time" select only the calendars that contain events you are personally planning to attend. For instance, you might add your personal calendar to My Time (because you'll be attending those events), but not your coworker's calendar. Woven's Smart Templates make it easy to schedule common types of events quickly. Try creating a template for something you do often, e.g. a "Coffee" or "Customer call" template. 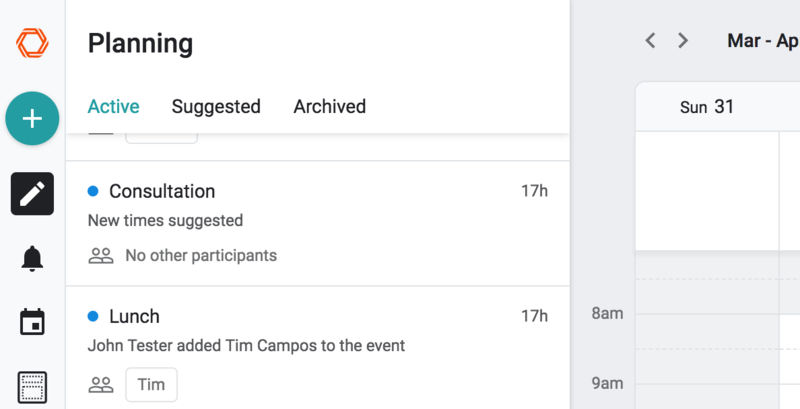 You can share an event to let other participants suggest or schedule good times to meet. Try suggesting some times (choose "Suggest times" next to the time field) and then share the event with someone you'd like to meet with. If you'd like to enable partners or clients to easily book times with you, you can create a scheduling link that shows the times you're free (using your My Time settings) and lets anyone who visits the link instantly schedule a time that works. If you often schedule with the same people, but don't have access to their calendars, you can share your availability with them (and also request theirs) to make finding free times easy. Once you've shared availability with each other, Woven will suggest times to meet that fit both of your schedules. If you've explored all of these features, you should have a good handle on what Woven has to offer and be well-prepared to benefit from the unique features. As always, please let us know any questions you have via the contact links on the site or via email at support@woven.com.